At the end of accounting period, a list of General Ledger balances or totals is prepared, this list is called Trial Balance. It shows the mathematical accuracy of the Books of Accounts. For every transaction in the Double Entry Accounting, equal amount of debit and credits are recorded in the accounting books. Both sides of trial balance i.e. Debit side and credit side must be equal. If both sides are not equal, there are errors in the general ledger accounts or in Journal Entry. Write down the company / business name at the top middle of paper. Write words ‘Trial Balance’ below company / business name at top middle of paper. Write words ‘ as on ‘ with date of preparation in the next line just below. Write down balances/totals of all ledger accounts. >>> Do Practice with the help of Trial Balance Format. Under this method, the trial balance is prepared by taking the total of each side of the accounts without balancing the accounts. 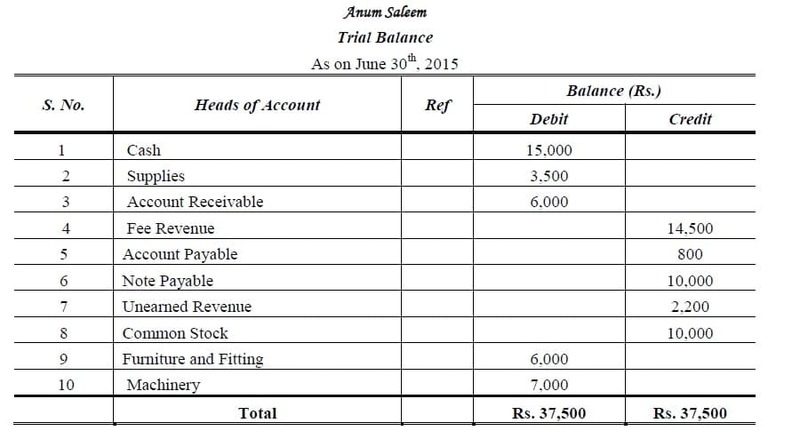 This method of preparing a trial balance is not commonly used because it cannot help in preparation of Financial Statement. Under this method, combining the first and second method. 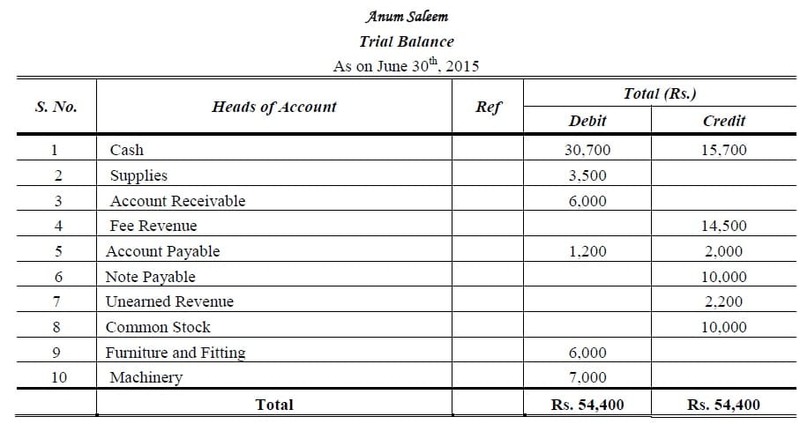 >>> Try Trial Balance MCQs. >>> Practice Trial Balance Quiz 1 and Quiz 2. I am hoping to contribute & assist different users like its aided me.